Shoutout to Hobby Depot for my recent order of washi tapes and calendar stickers! Check out their Facebook and Instagram. With my planning and journaling style (barebones and largely undecorative), I’ m hesitant to “go full washi” because it’s another financial and emotional hole to fall into, and I’m already coping with my fountain pen, notebook, and fauxdori obsession. I’m trying to build a washi collection little by little- focusing on tapes that may cost a bit more, of have a particular design I like. Hobby Depot is an online Facebook seller with an extensive collection of washi, planners, stickers and other stationery at reasonable prices (they’re currently on sale at P55 per roll for the majority of their tapes) from China and Japan. Just going through their washi collection can take an hour, and that doesn’t include choosing. Screenshot of their well-organized albums. Their washi Facebook albums are well-organized by print: flowers, chevrons, stripes, etc. I actually almost glossed over the Flowers album because I’m not a fan of floral prints, but then THIS caught my eye. Sure it’s a Chinese bootleg and printed off-register, I know, but c’mon! 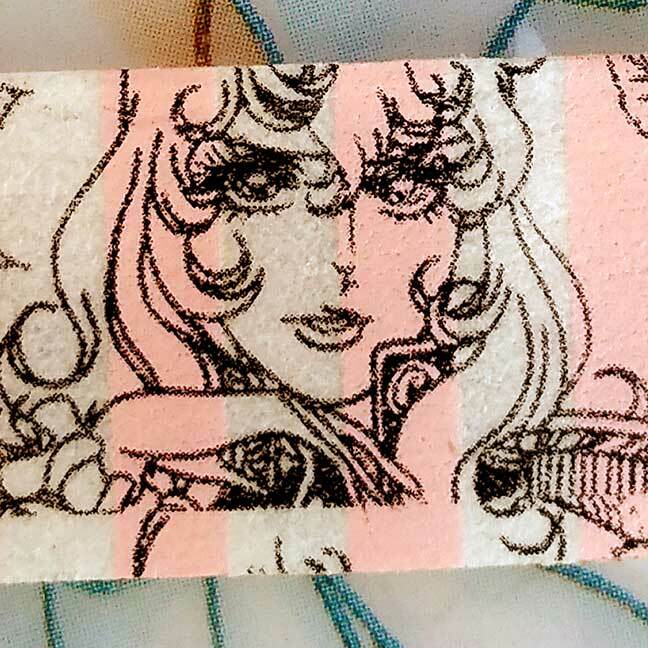 It’s got Lady Oscar Jarjayes and La Rose De Versailles written on it. As a huge fan of the manga and anime, I could NOT pass it up….it’ll look great next to my “golden Oscar” statuette and other Rose of Versailles merch (one can never have enough). I also could not pass up on this Chinese sushi washi. The colors, while light, are vibrant enough. I also got calendar stickers. Japanese ones can sell for as much as $10USD (approx. $460) per calendar, but these Chinese renditions come at P40. I’ll probably stick them on my blank planner pages. Finally,I picked up one pack of snakeskin thin glitter tape. I just wasn’t quite expecting it to be this thin- or small. My package was packed neatly and arrived two days after placing my order. Payment through either BPI or BDO. So, so tempted to order from them again.